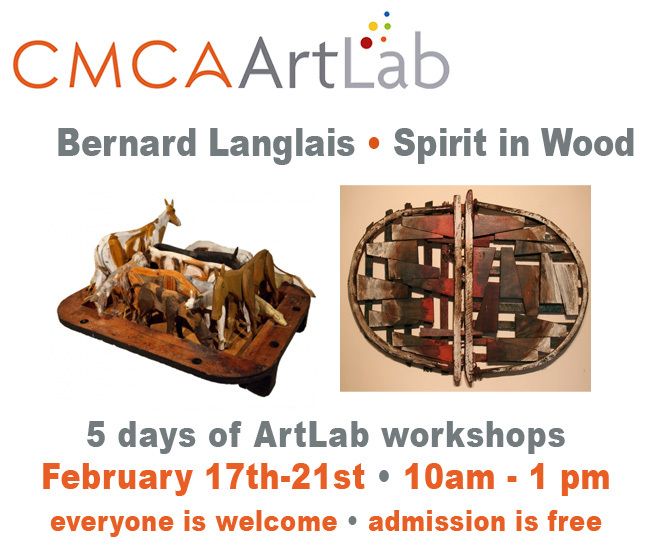 For February vacation week this year I needed to gather materials and create prototypes for 5 days of ArtLab workshops inspired by the work of Bernard Langlais. 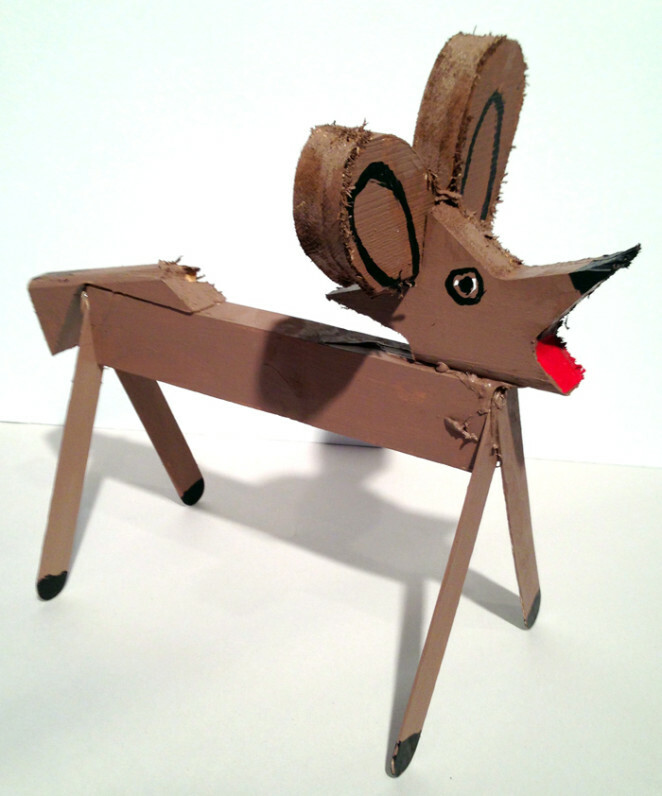 Langlais (1921-1977) was a Maine-based artist who considered himself to be a “painter in wood.” CMCA is featuring his imaginative animal kingdom in our downstairs gallery from February 15th through the 23rd. 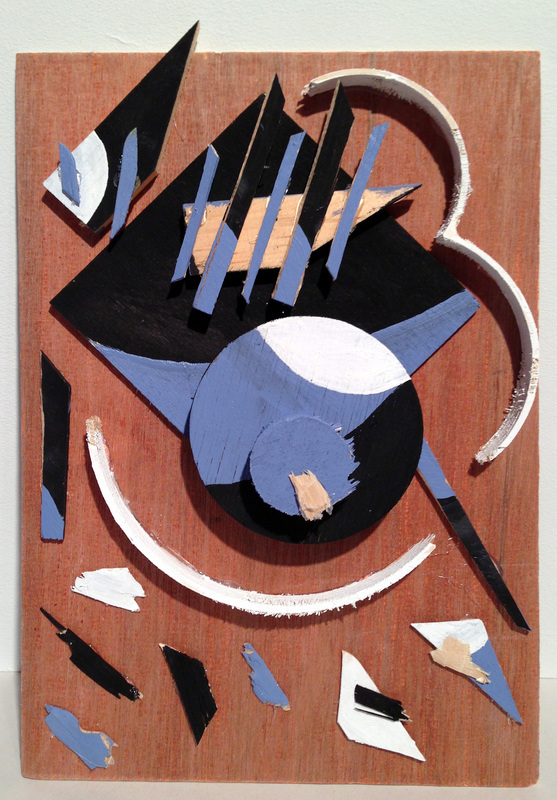 The works in the exhibition are recent gifts to CMCA from Colby College and Kohler Foundation, Inc. 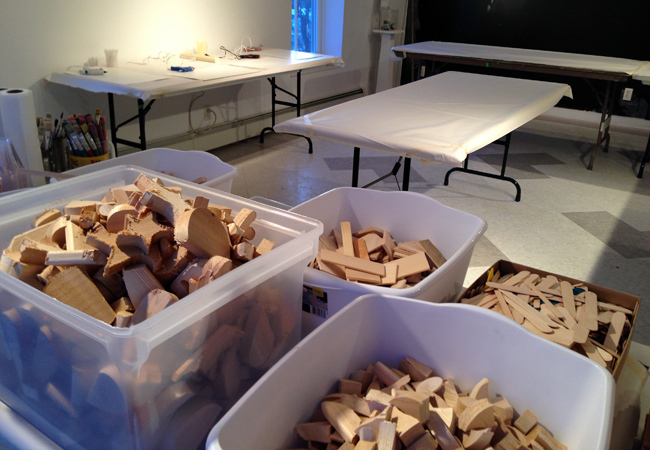 Gathering enough wood (in many sizes and shapes) for 5 days of workshops was a challenge. But then, along came Cedar Works of Maine. CedarWorks is an innovative company dedicated to creating “beautifully playful products for healthy kids.” Thinking about this focus on kids and playful design and looking at the generous donation given to the ArtLab, it seems that we’ve found a soulmate. 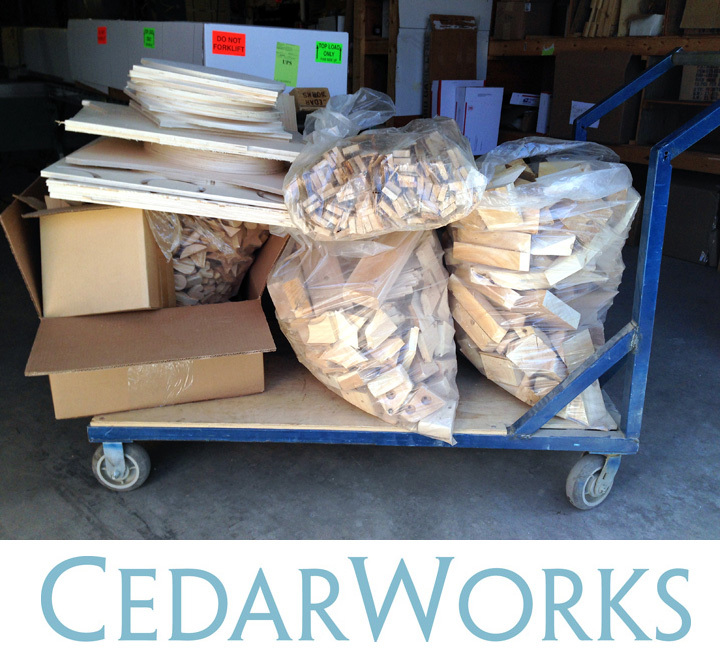 Thank you CedarWorks! After transporting the wood back to my studio, I spent time sorting the wood by shape and size. 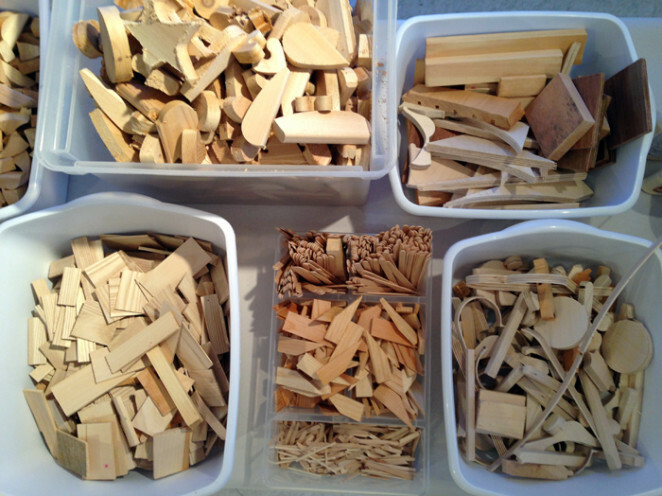 Some wood was cut down even further for variety. 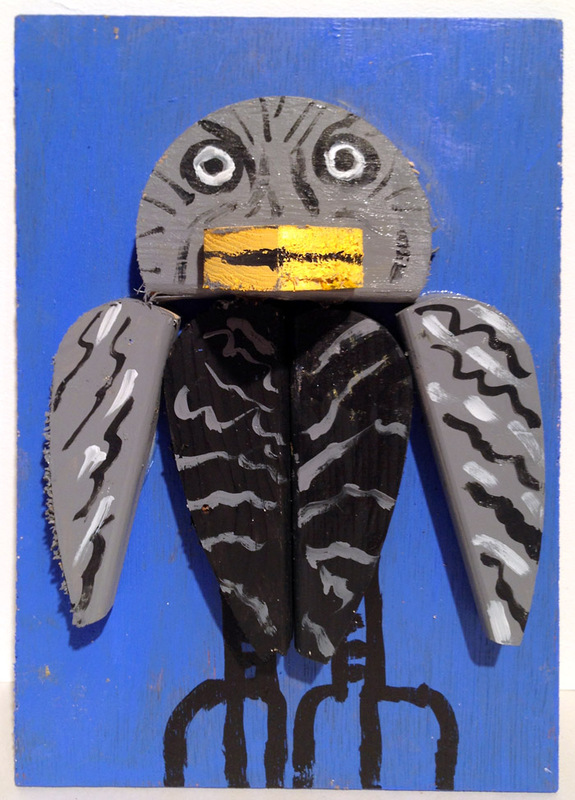 *A special thank you to artist Alan Fishman for creating the dog and the owl.